When entering a reservation to Rentlio, you usually enter the details of the person who made a reservation. We call them reservation holders. Each reservation holder is saved and their data can be accessed from Guests screen which can be accessed through the menu on the left. Each row represents one reservation holder, along with their details (contact e-mail address and phone number, total number of booked night and total amount paid, along with your impression about them). The list can be sorted with several options, all accessible on the top right part of the list. The list can be filtered as well. Simply select the "filter" icon and choose the criteria you need. After selecting them, simply click on "filter" to display results. 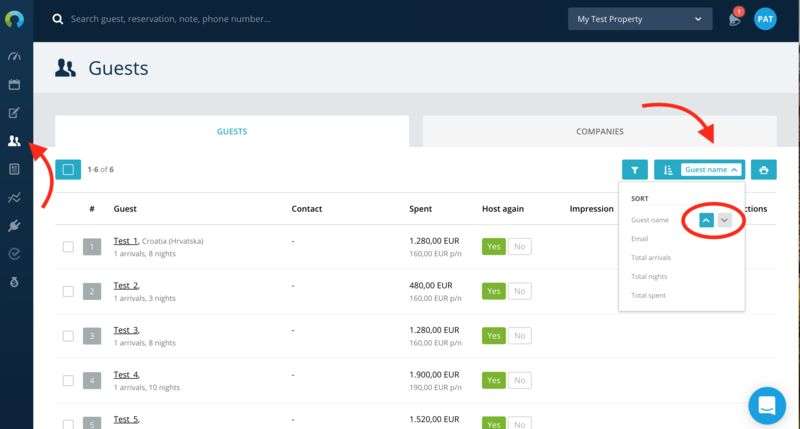 You can export your data by selecting guests and choosing an appropriate export method. 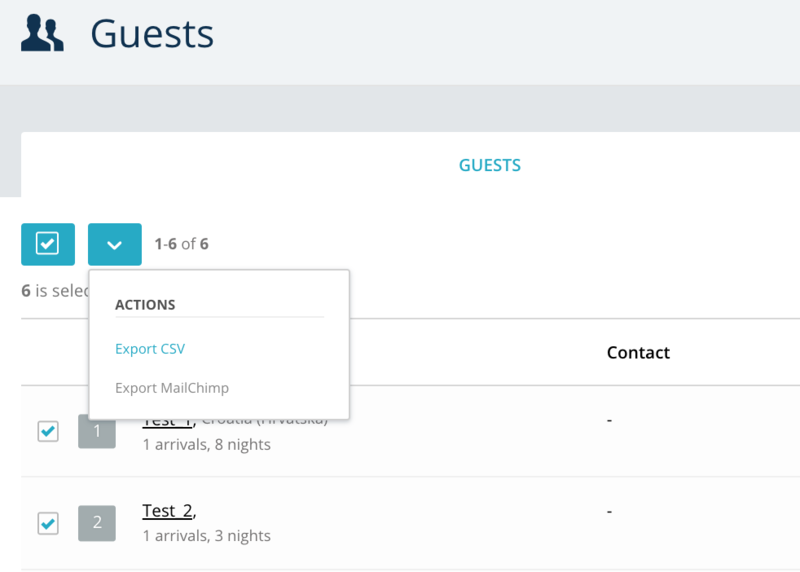 You can either export guest data into .CSV file or directly to MailChimp. 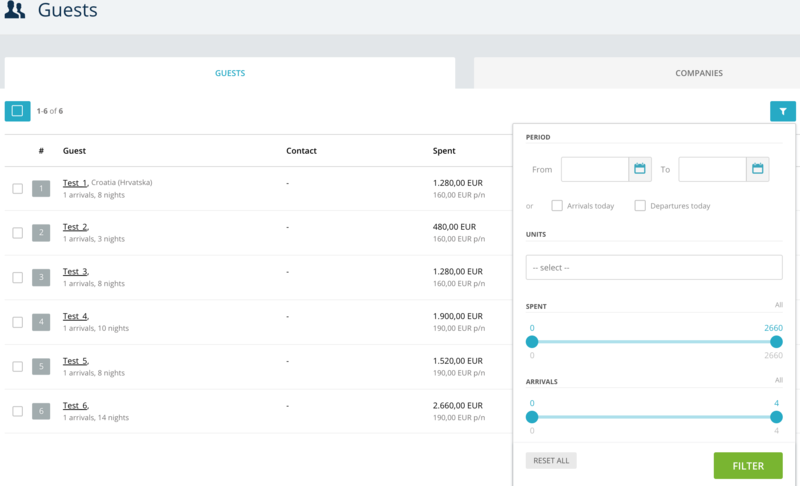 Learn how you can update guests' details manually here.